In our recent paper, Fung et al. , we investigated the validity of automated FreeSurfer protocols in a group of routine clinical brain MRI scans. One structure of interest was the entorhinal cortex, in which we compared manual segmentation against automated segmentation generated by the ex vivo protocols of Fischl et al. and Augustinack et al. found in FreeSurfer version 6. I read the article on the possibility of sparing Alzheimer’s disease (AD) by nonsteroidal anti-inflammatory drugs  with great interest. 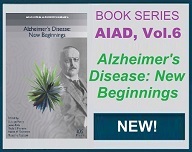 It is stated that AD is characterized by the start of amyloid-β (Aβ) deposition in brain with consequent decreases in the cerebrospinal fluid (CSF), and therapeutic opportunities at this initial stage are at their highest. It is also stressed that biomarker studies suggest that phase 2 (Braak staging) sets in about 5 years later. Recently, Zuckerman et al. presented an interesting history of chronic traumatic encephalopathy (CTE), previously referred to as dementia pugilistica , beginning from Hippocrates up to recent publications, with emphasis on contact sports and American football. With regard to CTE in boxers, except for the first report of "punch drunk"  and a few others , they unfortunately did not refer to a number of other important contributions about brain damage in boxers, many of them having been mentioned previously . 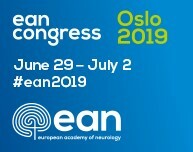 Despite neuropsychological differences between individuals with Alzheimer’s disease (AD) and dementia with Lewy bodies (DLB), overlap in performance has been observed, including analogous scores in memory tests (Rey Auditory Verbal Learning, AVLT; e.g., ). All the while, differential diagnosis remains a costly exercise. 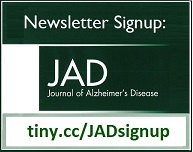 In their recent publication, McGeer and colleagues  recommend a simple diagnostic test at age 55 to identify people who, as they elsewhere describe, are “fated to develop Alzheimer’s” , further suggesting that they could benefit from a daily dose of a generic anti-inflammatory drug for prevention. However, their paper presents no real data (positive and negative predictive values) on how the test would perform if used clinically. Is LMTM the Norwegian Blue of Alzheimer's Therapy? Treatment and interpretation of LMTM trial data by Wilcock and colleagues  is reminiscent of the Monty Python sketch in which the demise of an obviously dead parrot is disputed by a desperate shop owner who describes it as merely resting, stunned or pining for the fjords. 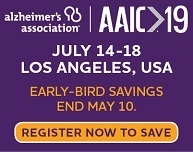 This phase 3 trial of 18 months' treatment in patients with mild Alzheimer's disease (AD) followed a 15-month study in mild to moderate patients that showed no treatment benefits for LMTM . The latest trial was also apparently negative. In their excellent consensus statement regarding homocysteine and dementia, Smith et al. made no mention of several important issues. I recently attended the Annual Mild Cognitive Impairment Symposium in Miami, where a presentation on the future treatment of dementia focused solely on pharmaceuticals. As a psychopharmacologist, I was familiar with the data. I questioned why the presenter did not include Functional Medicine (FM, a translational medicine approach which converts preclinical research into clinical treatments for chronic diseases) in the future of MCI and AD treatment, since efficacy has been documented in early studies [1,2]. 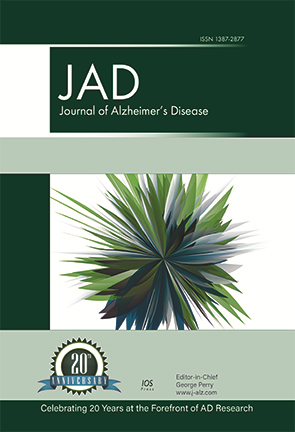 Companion papers detailing a multicenter double-blind randomized placebo-controlled trial investigating the effects of hearing aids (HA) on cognitive and functional outcomes for persons with Alzheimer's disease (AD) were recently published in the Journal of Alzheimer's Disease [1,2].